This is my first post on my blog since dec 2014. I felt the need to go away and do alot more drawing. I did a month or 2 at the watts online atelier. 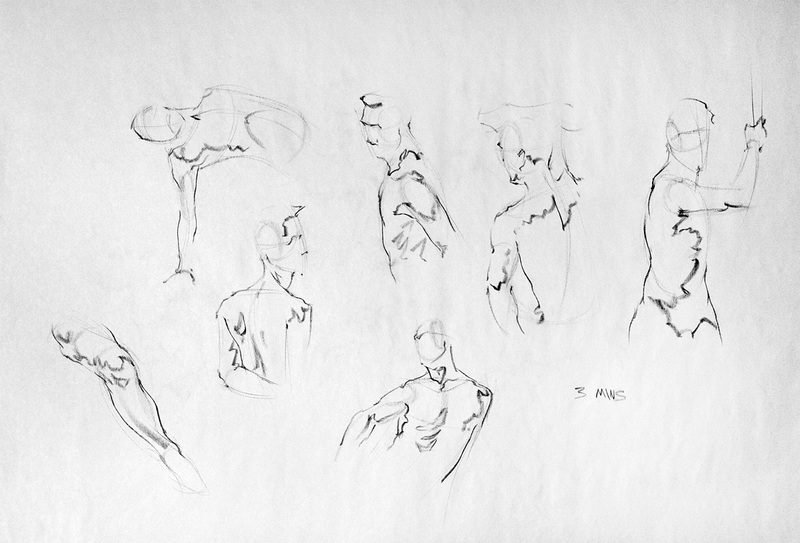 It helped me develop my pencil caligraphy and quick indication drawing. 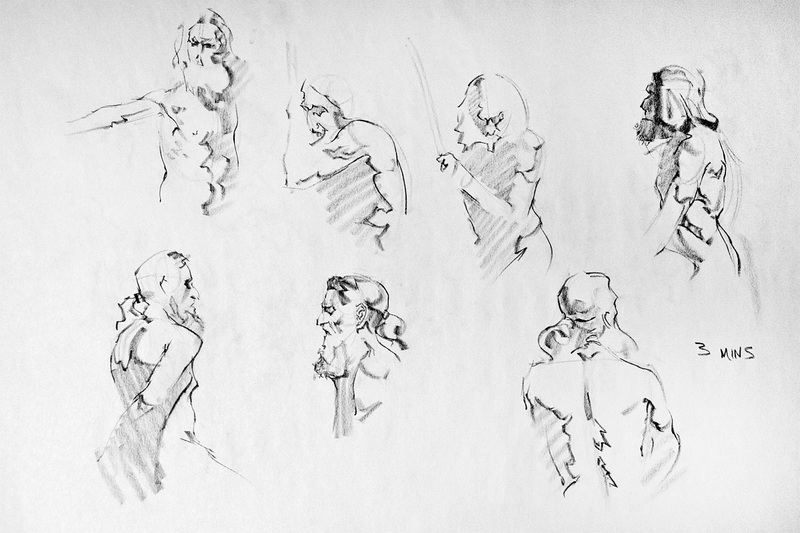 I must have filled about 70 A2 sheets full of timed heads and figure drawings. 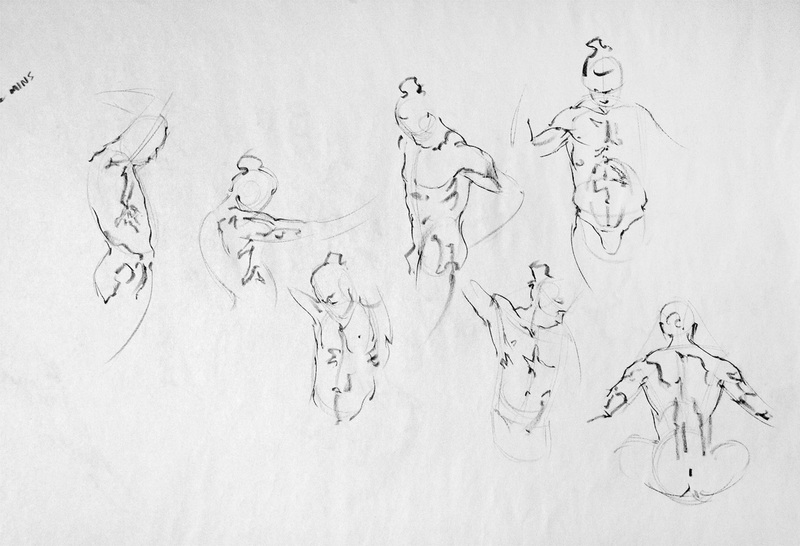 The watts method is based on the older 'Riley' method helping you navigate through the figure more quickly mapping shadow edges with hard and soft lines. 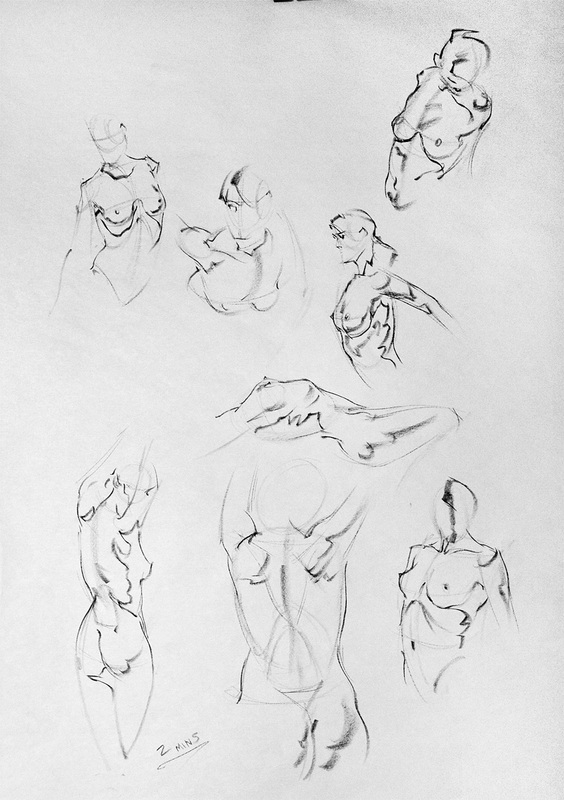 The technique improves your consistancy in your drawing and its an enjoyable way of drawing. 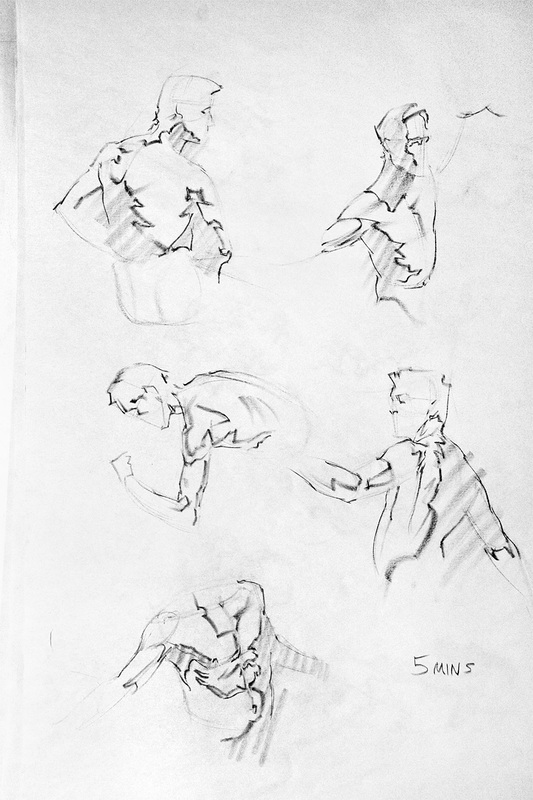 I especially like it for shorter pose work. Although i still need way more practice. I ''try'' to fill a sheet every morning before work. 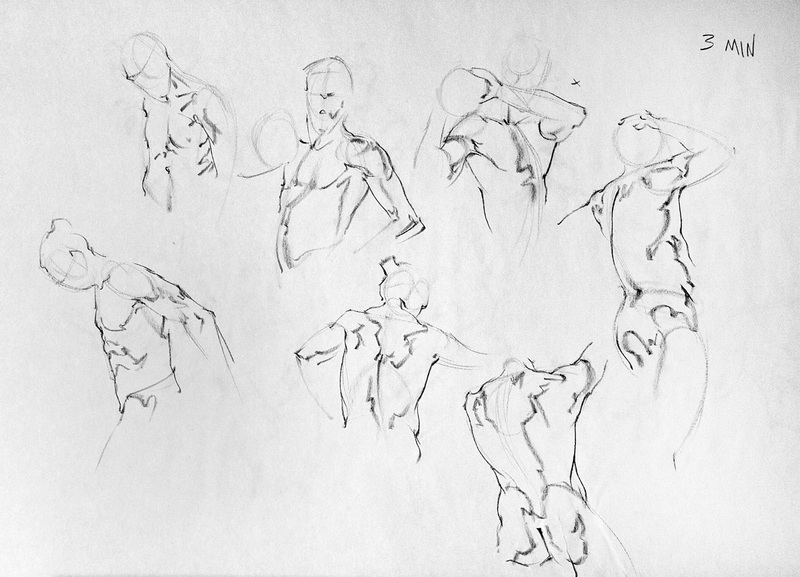 Here is a couple of sheets of 2-3 mins poses. As you can see i rarely have hit the legs as i run out of time. I will post some more soon.